We have Main Street on the brain. Who wouldn’t be excited about something that helps towns and city neighborhoods thrive? The big, annual Main Street Now Conference in Pittsburgh finished a few months ago, and we're so excited about March 2018 in Kansas City. After lurking on the conference hashtag for a few years (a great way to network and pick up info nuggets) and then attending #NOW17 in person, we began to think…. Figure out ways to organize how you check and interact with Main Street partner Facebook Pages, Twitter accounts, and Instagram accounts, so that you can group their activities into one place. It’s a lot more efficient if you do not have to go from Page to Page, for example, to see what’s going on, leave a Like or comment, and share posts with your social media followers. It’s easy to organize Twitter – set up a Twitter list of all your partner accounts. Then, you can go to one place to see partner tweets, interact with them, and share them with your own Twitter followers. Here is a link to the Visit Lake Charles and Southwest Louisiana Twitter list of local partners, businesses, and events. Here is a screen shot of what it looks like…. Unfortunately, it's not so easy any more to set up one-stop lists on Facebook. They did away with their Interest Lists, where you used to be able to group all of your partner Pages in one place. We've had some success with hacking a Facebook Friend List (meant to help you sort people, not really brands) into a single spot to check multiple Pages. It seems to work as long as some personal profiles are included, but it does act wonky sometimes about adding brand Pages. That means that for Facebook, you may need to keep your own organizational list of partner Facebook Page URLs so you don't forget any when you're ready to "make the rounds." If this list is kept as a Google Doc, you can easily share it with others. The more interaction with Facebook posts, the more visible they are in follower News Feeds. Suggestion: group Pages by type in your document—restaurants, museums, retailers, hotels, etc. That way, if your editorial calendar has you highlighting your local eateries every Tuesday, or sharing #TBT (Throwback Thursday) historic facts on Thursday, it's easier to go straight to the relevant partner Pages to see what’s new and share-able. Instagram is not really set up for easy sharing. You have to use a third party app like InstaRepost, but as with Facebook, those Likes, comments, and shares help with Instagram visibility for your partners. It’s not a surprise that sorting algorithms drive everything, since Instagram is owned by Facebook. There is not an Instagram list function, but within the IG app itself (not on desktop) you can go to a profile and turn on Post Notifications. If you do that for each of your partner IG accounts, you'll be notified each time they post, so you can interact then, rather than having to hunt and scroll through your IG feed looking for those good partner photos. As bike tourism experts Russ and Laura with The Path Less Pedaled say, bicycling and bike tourism can save small towns that might struggle to attract visitors in other ways. 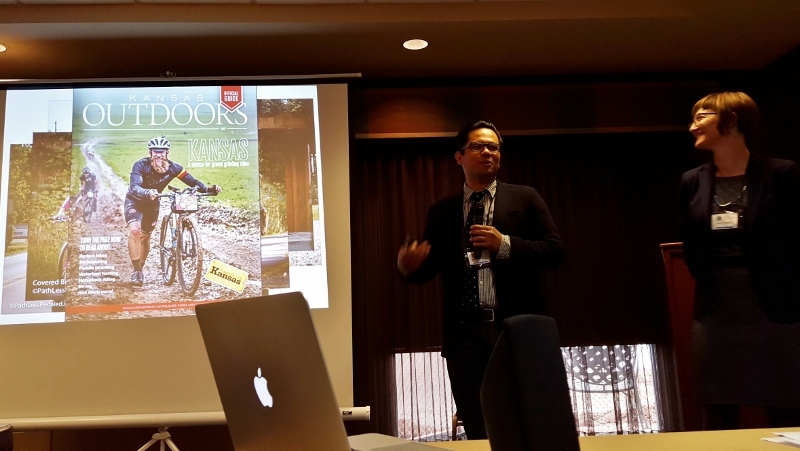 The Path Less Pedaled got everyone fired up as speakers during the last Heartland Byways conference for scenic byways and heritage highways, and they can do content marketing packages to help you attract cyclists. Use your social media to get in front of cyclists, too. Many cyclists also pay attention to hashtags like #cycling, #cyclinglife, #roadslikethese, and #fromwhereiride, particularly on Instagram. We covered this in our post about how culinary tourism is boiling hot, with examples from Europe, Australia, and Africa. It’s simple; visitors these days want to know where their food comes from. They want to see your farms. They love to try your cooking classes. They want to eat fresh, imaginatively-prepared food (which does NOT have to be “gourmet”) that is not served in the same chain restaurant that they can go to back home. They want to try your craft beer (are your Main Street brewpubs active on the Untappd app?) plus your #craftspirits, cider, and/or wine that are made right there in town, or at least in your region, state, or province. Everyone needs to eat. Your downtown might as well be the one that serves up the best food and drink in the area. When it is your own comfy, familiar town or big city neighborhood, you must work at seeing it through a visitor’s eyes. It is hard to remember that just because you know the name of that street or building or park, or you know that a certain area is considered “midtown,” your visitor does not. Make sure that navigating your town’s streets and attractions is as easy and crystal-clear as possible. 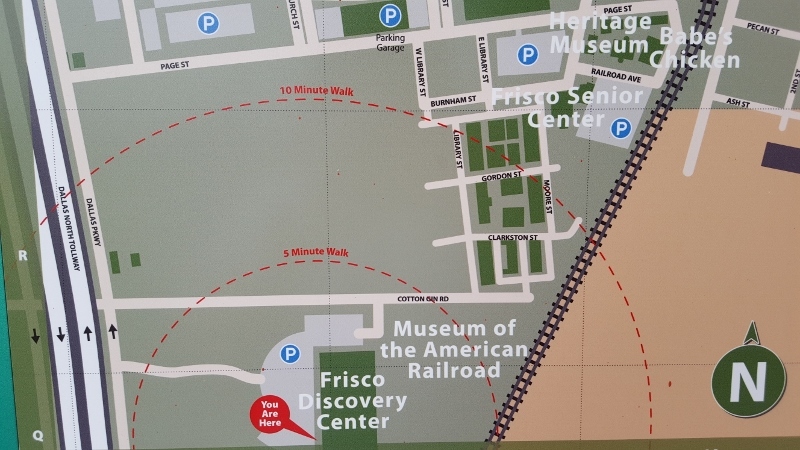 Also remember that visitors are Googling for information and using map apps on their phone. One of the best things your Main Street partners can do to be more find-able online is to claim their free listing in Google My Business. Fill the listing out completely, taking care that your organization or business Name/Address/Phone number plus operating hours are accurate. Upload some attractive photos, and respond promptly to reviews. Also make sure that your online presence is supported with offline signage in as many places as possible. 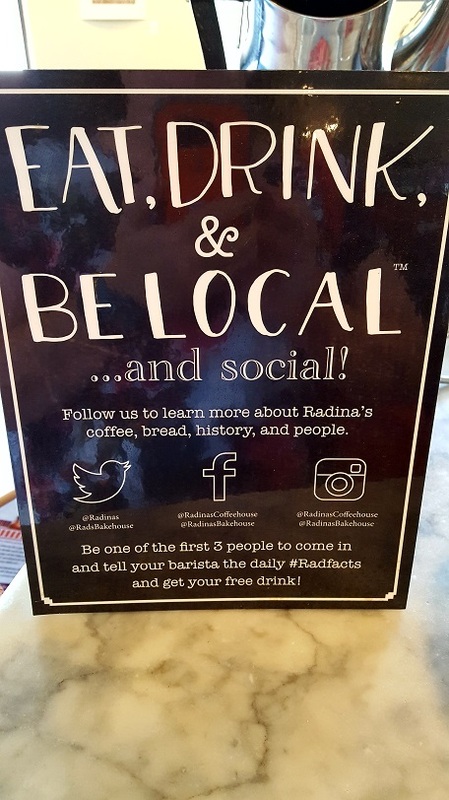 Use signs to tell people how to find you on Facebook, on Twitter, on Instagram, and which hashtag you use to identify your town or downtown on social media. Then, of course, monitor the hashtag and respond to people using it to share their experiences. Don’t simply post a sign with a social media logo—spell out your Instagram or Twitter handle, or title/URL of your Facebook Page. Don’t make people search for it on their phones. Can your Main Street and local Visitor Center volunteers and staff tell people how to find you on social media accounts? Do they know your hashtag? They should. Too many Main Street and economic development pros know their local print, radio, and TV journalists, but they haven’t a clue about digital media and online publishers who live in the area. This is a big missed opportunity for content and coverage that can tell your downtown’s story online in a way that has tremendous reach and impact. Plug into your local online media. Host an InstaMeet photo event, or attend/sponsor/start a gathering like the North Iowa Social Media Breakfast Club. 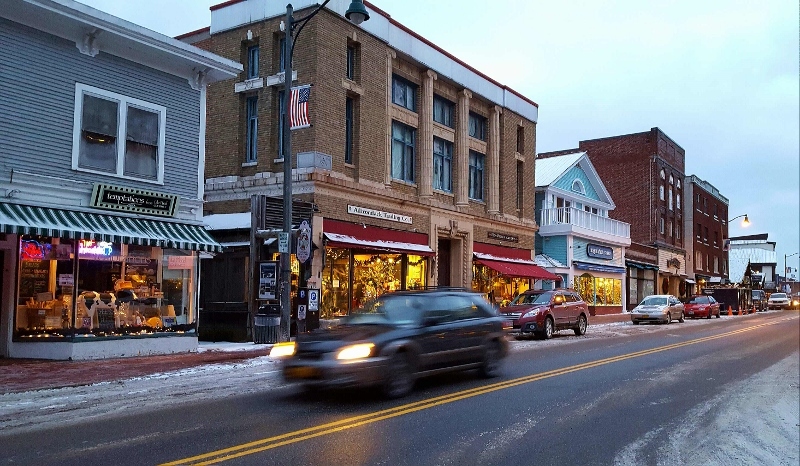 Those are our five ways to get your Main Street and downtown some more visibility. Bonus: You can find more in this chat transcript from the May 2017 #tourismchat on Twitter. The topic was social media for Main Street. A version of this post originally appeared on Tourism Currents.